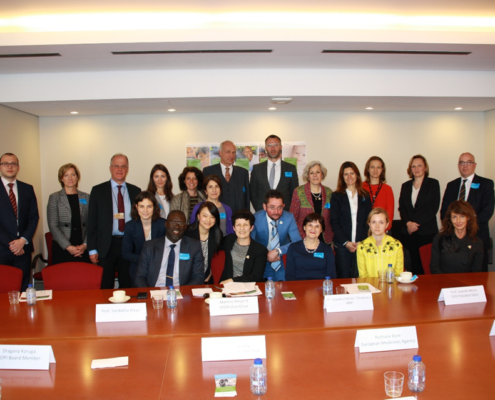 IPOPI’s 2017 WPIW Policy Event took place at the European Parliament on 25 April and focused on the Availability and access to immunoglobulin replacement therapies. 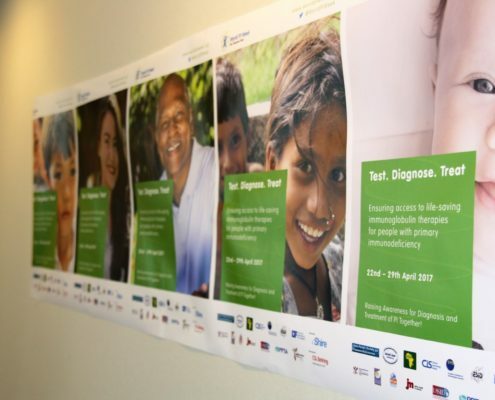 The event brought together European, African, Asian and EU neighbourging countries patient organisations, healthcare professionals, researchers, and policy-makers who shared their views on the best solutions to address the problems of the PID community. The meeting was held during WPIW, the global campaign held every year from April 22nd to April 29th to raise awareness about Primary Immunodeficiencies (PIDs) and the importance of early diagnosis and optimal treatment and care for people with PIDs. IPOPI’s policy event was aimed at addressing the challenges of the availability and access to immunoglobulin replacement therapies, both in the EU and worldwide, in line with WPIW 2017 theme. 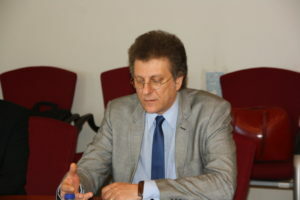 Member of the European Parliament (MEP) Claudiu Ciprian Tănăsescu hosted the event and started by pointing out that sharing of expertise is cornerstone in improving access to treatments. Mrs Martine Pergent, IPOPI Vice-President, highlighted the importance of individualised treatment and invited those present to share and learn form each other. Prof Dieye (Senegal) and Prof Meyts (Belgium) agreed that the priorities of the PID community should be awareness raising, early diagnosis and the establishment of patient registries. Registries are valuable tools for discussions with governments and policy makers as they shed light on the actual numbers of PID patients, especially in regions like African. Participants agreed that there are many discrepancies in treatment of PID patients, which are posing a major obstacle to the quality of life of these patients. Mr Karl Petrovsky from Plasma Proteins Therapeutics Association (PPTA) suggested that the IPOPI PID Principles of Care should be endorsed by the European Parliament or even by the European Directorate for Quality of Medicines (Council of Europe). In order further help patient organisations use these IPOPI PID Principles of Care and adapt them to the different national specific situations, IPOPI developed an Implementation Guide and will this year develop an implementation survey to understand where the different countries are standing in terms of the implementation of the Principles. This year IPOPI was able to support 21 national WPIW campaigns. The projects funded by IPOPI NMO grants included medical symposia, members’ get-togethers, family days and camps, publication of information materials, blood or plasma donation days, policy events, PID Walks and other general public awareness campaigns, press conferences and many more! Additionally, IPOPI membership was very active campaigning on Social Media and the feedback received this year indicated that they were also very successful in receiving media coverage on national television, radio and newspapers during WPIW.